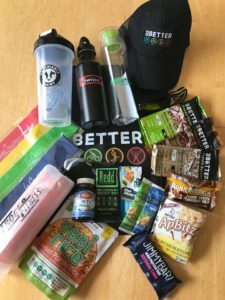 This entry was posted in Giveaways and tagged 3rd Blogiversary, Arctic ApBitz, Be Better, blogfest, blogiversary, Bonk Breaker, bpi Sports, expo in a bag, Frog Fitness, giveaway, JIMMYBAR!, La Croix, Navitas Organics, R.e.d.d., Swisse, Undeniably Dairy, Vegi Rice, Win-It Wednesday. Bookmark the permalink. I love seeing how you live real life and make exercise fun. I love reading about your adventures! In cooking, in fitness, in life! I enjoy seeing that there can be such joy in being fit and healthy. Its not a journey travelled alone, and having your BFF’s with you makes the end goals even more rewarding. Keep up the great work!! Your overall zest for life!! You always motivate me to be better each day!! And tackling life’s obstacles head on!! I love reading about the new things you try whether it’s food, fitness, or travel! I love seeing you enjoy life and fitness! You are an inspiration! I love reading about your fitness journey! 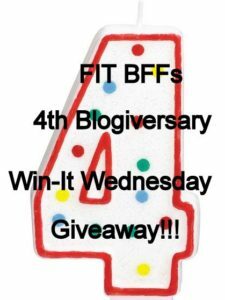 You make fitness look fun!! I love catching up on your progress/happiness! I love to read about your adventures! You live life to the fullest!